I have decided for the GRE over the GMAT even knowing all the impacts it could make on my application. In fact, I have read a loooooot of answers from Duncan encouraging everyone to take the GMAT due to all its importance but in my case it´s just a question of opinion: I always score better on GRE than GMAT. So, the main thing is, I have read thorugh a lot of forums and also heard from some consultancy companies that GRE is useful specially for those who believe on the other parts of their applications (work experience, GPA, other activities ...), in a way that it is easy for the University to accept someone with a below average GRE score than with a below average GMAT score, since programs are always struggling to increase their GMAT average (due to ranking) while not that worried about GRE average so far. Of course, we have to bear in mind that acceptance rate of GRE applicants are lower but a quick search on Poest and Quants or other forums and you can find GRE average scores for US programs way lower than GMAT scores (in a converted way). My question is, to what extent are those numbers reliable? I particularly won´t take the GMAT and will take the shot and stay with my GRE (not a good one but around the average of the Universities I want to apply). Another question is on regards the difference between Quant and Verbal, which is my case. I´m located at 90% for Quant and amost 60% for Verbal, and I really don´t want to re-take the test with so short time up to the round 1 and being an International applicant, I´d rather focus on my applications. This way, with a relatively good TOEFL score (105) and this good quant % could I overcome this low Verbal? thanks for your always kind help and sorry for such a long text. I'm curious to know why you don't want to take the GMAT? 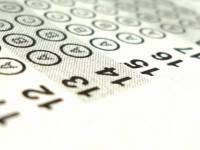 It's not that I think that taking the GRE is necessarily a bad move, but typically most MBA-seekers do opt for the GMAT, and taking the GRE is already a signal to admissions committees. Very true. Indeed, the GRE allows you to bring in non traditional candidates who have a lot to contribute without hitting the GMAT average. However, it's not used to simply let in weak candidates. Remember, the students pay but recruiters are the real customers. Put simply, the GRE is a signal that the person wants to avoid quants and, more generally, won't sweat the hard stuff. thanks for your answer. In fact, I totally agree with you and Duncan, but again, it´s not that I don´t want to take the GMAT, it´s more a question of knowing better how to handle with one test over the other. Don´t ask me why but just as a reference, while in GRE I keep scoring high 80´s% and sometimes low 90´s% for quant, on GMAT I´ve never scored more than 70´s%. Of course, I could spend a month or more to improve my focus on GMAT but considering my age (I have 32) and the lack of time to prepare everything for the round 1, I think it would be better to dedicate my time preparing my application than suffer again to study for GMAT. I don´t want to miss round 1 and don´t wnat to spend more time studying for these tests. Duncan, appretiate your thoughts, many thanks as well. Just a quick question following your way of thinking: Do you think a 90% at GRE will still be considered a candidate avoiding quants? To be very sincere, I´m way more worried about my verbal score as I said on the text. Do you think I could overcome this verbal score with my TOEFL, good essays, video essays and my AWA score (If it turn to be good because I don´t have it yet)? [quote]I'm curious to know why you don't want to take the GMAT? Honestly, we pay more attention to the breakdown between the score because we needed balanced people. I'd rather have someone 70th percentile in both than someone 90/60. but again, it´s not that I don´t want to take the GMAT, it´s more a question of knowing better how to handle with one test over the other. Don´t ask me why but just as a reference, while in GRE I keep scoring high 80´s% and sometimes low 90´s% for quant, on GMAT I´ve never scored more than 70´s%. GMAT is presumably a more accurate predictor, especially for the quant section. Admissions people know this, and take it to consideration when making their decisions. I agree with Duncan - I'd be more concerned with the difference between your quant and verbal scores. You're overthinking this. Not sure why you'd want to take the GRE unless you're applying for other, non-business programs as well.